Our custom business calendars are the perfect way to support and promote your business via outside agencies through the entire year! Month after month, your business information is prominently displayed as a reminder to call, schedule or renew a contract! 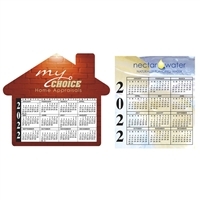 With multiple designs to choose from, you can order a calendar or custom planner that fits any wall space, desktop, purse or pocket. Our simple design process paired with our faster-than-average production timeline makes it easier than ever to order your personalized calendar or planner. We’re proud to continuously offer quality products at competitive prices with expert customer service to back it up – all since 1910. Have questions about the ordering process? Call our service representatives now and get on the road to success today!